Today, the party’s over and it’s back to business for both Northumbrian Water and Mottram – but they’re no less celebratory for that. Mottram’s packed schedule is in evidence as she dashes in from the train station, engages in some intense corridor discussions, before welcoming Utility Week with a smile. An acknowledged leader in both the water sector and industry more generally, Mottram is pleasant, thoughtful and passionately committed to her company. 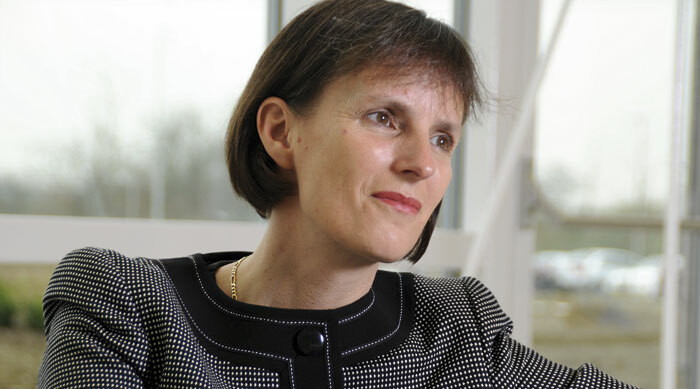 Under her leadership, it has won not only a clutch of Utility Week awards, but industry recognition for leading the way on sustainability initiatives including anaerobic digestion, plus a healthy profit of £150 million after tax in 2012/13. Mottram’s story is fairly well rehearsed. She is that rare thing in the water industry – a joiner from another sector. She took the job at Northumbrian in 2010, following a successful career in the rail industry, culminating in a spell as chief executive of Northern Rail. There are the obvious contrasts and comparisons to be made between water and rail – “both industries get their hooks into you” – but Mottram hasn’t looked back since switching ships. Perhaps mindful of her competitive advantage, Mottram holds back some of the details around how she trains and empowers her workforce. One example she does give is of an annual performance review dedicated solely to personal development, rather than to other aspects of the role. This has resulted in around 100 people in the business doing something outside of their ordinary role, be it a special project or a placement with a different department. This, thinks Mottram, has directly contributed to an increased staff satisfaction score on the count of individuals helping one another across the business. “People do business with people, so when they know each other, they help each other out,” she says. Mottram, who enjoys climbing mountains as a hobby, somehow finds the time to be active on industry issues, and sits on the high level steering group designing the future water market, among other things. As such, she is confident that the market will open on time – “deadlines are a great motivator” – and is reluctant to be drawn on whether companies should be allowed to exit the market. Mottram’s too smart and too cautious to be drawn into saying anything unpolitic. Her commitment to her customers and her staff shines through, as does her determination to build on Northumbrian’s already stellar success. And that’s something everyone can cheer for.